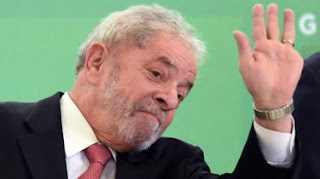 Lula claims the charges are politically motivated, and designed to prevent him from running in October's presidential election. Polls suggest he is the top candidate in the race. The Supreme Court judges ruled against him by six to five after a marathon session, which ended in the early hours of Thursday morning. The 72-year-old former president is likely to remain free for a short time, until paperwork for his arrest is completed. His Workers Party said the ruling was a "tragic day for democracy and Brazil". Lula served as president between 2003 and 2011. Despite his lead in current polls, he remains a divisive figure in Brazil.